Are you looking to improve your shop’s stock with a fine selection of porcelain storage containers for smaller items? If you are, call the team at SDL Imports today on 01202 291 122 and enquire about our Lighthouse Canisters. 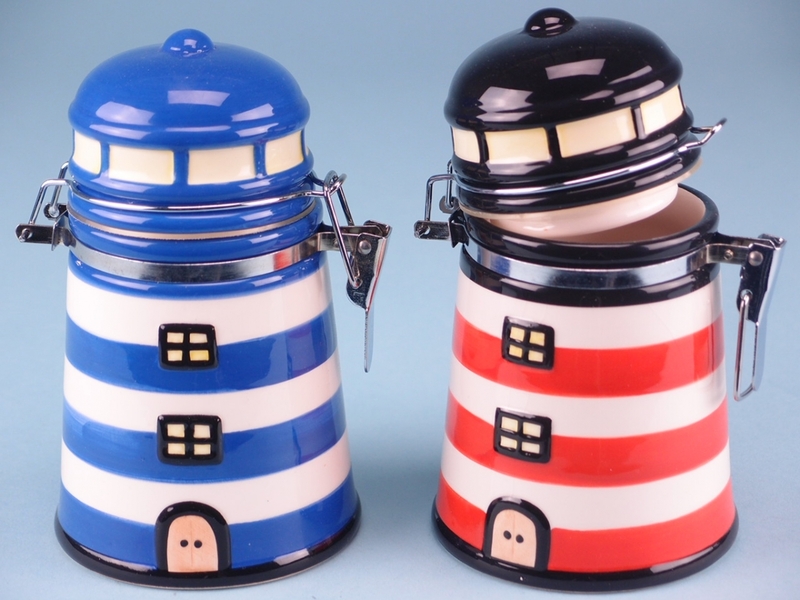 Here at SDL Imports, we love the sea and the seaside, which is why we specialise in decorations, figures, and other attractive items that hold to a nautical theme. 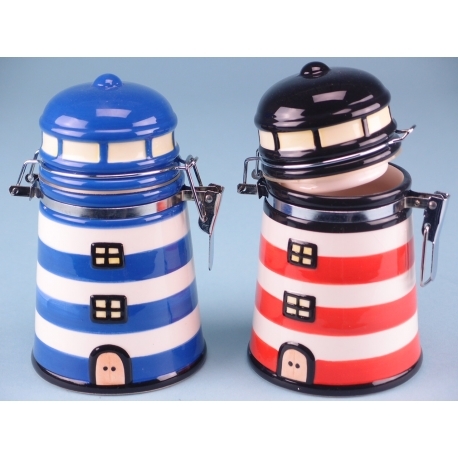 In this respect, the lighthouse canisters we offer are amongst the best loved for their charm and idyllic style. They are made of high quality porcelain and painted with care, so that the shine really brings out the design features. The clasp on the canister makes it ideal for storage of items that are easily lost, such as keys, receipts, and many others. There are two distinct styles, each with its own character.